There’s nothing more frustrating than heading out to get some work done on your property to find your tractor won’t start. The good news is that more often than not, it only requires a simple fix. 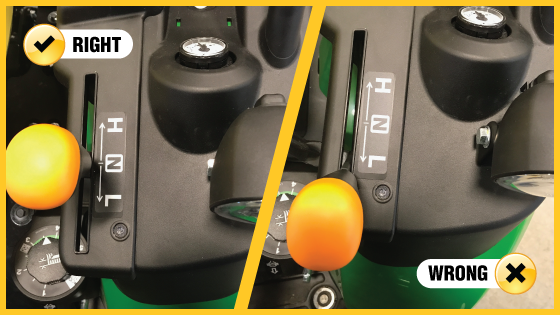 Sawyer Meek, Papé Machinery Territory Manager, and Scott Germany, Papé Machinery Equipment Technician, have put together a helpful checklist of tips to try if your 1-series or 3-series compact tractor won’t start. Transmission gearshift lever is not in the right position. Place range shift lever to neutral. Engine throttle lever is not pushed forward. Move throttle to half throttle. 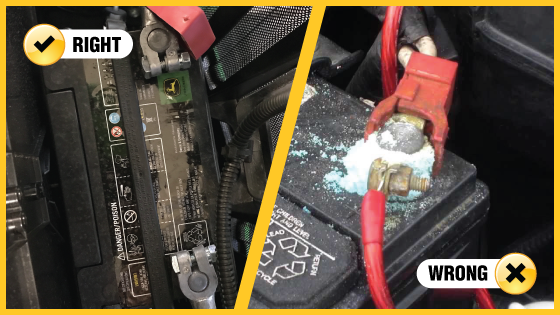 Battery connection is loose or corroded. Use a wire brush to clean the connections and retighten. Fuel shutoff valve is CLOSED (OFF). Open fuel shutoff valve at the water separator. Drain fuel and refill with new fuel to capacity. Open the gas cap and waft toward the nose, if the smell is stale or sour it needs to be flushed. Take note of the look of the stale fuel as you empty, it isn't as clear as proper fuel and often includes clumps. Change engine oil and fill with correct viscosity oil for conditions. Pull out the manual and make sure the last time you changed your engine oil that you used the manufacturer’s recommended oil viscosity. 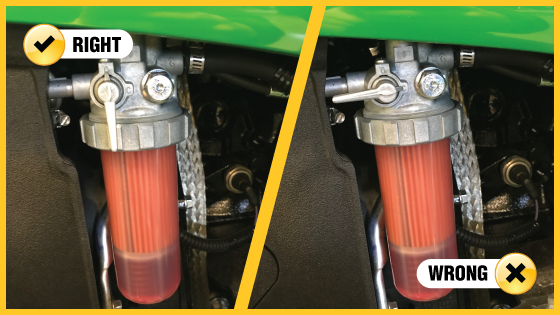 If you've experienced decreased performance leading up to the engine not starting, the fuel filter may need to be replaced. Clean or replace air filter elements. If you’ve been experiencing lower gas mileage/run-time and less consistent power, it’s likely your fuel filter. If the filter is covered in oil, torn or shows cracks, it needs to be replaced. Check and replace faulty fuses. Test the suspected fuse with a multimeter. Test that the multimeter is functioning by touching the testing rods together. You should get a no resistance reading. Measure the fuse on a non-conducting surface (i.e. wood or plastic), if the reading is similar to the multimeter test reading the fuse is good, If it doesn't change from the starting reading it needs to be replaced. What makes an engine run? Fuel, air, and spark. If your tractor cranks, but won’t start, you’ll want to look at a few different engine components. Is the fuel making it to the cylinder? Check the fuel level, the shutoff valve, and the fuel filter. If those components look ok, air might not be making it to the cylinder. Check the air filter. Is it too cold for the cylinder to combust the air/fuel mixture? Try moving the throttle back to idle while the machine warms up, then to half throttle and attempt to restart. Still no go? Check out our blog on Foolproof Tips for Starting Diesel Engines in Cold Weather. 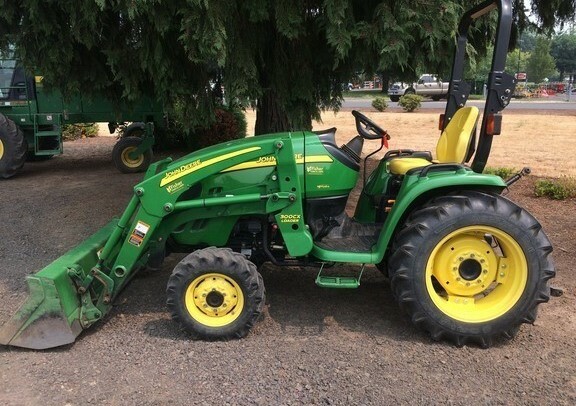 If your John Deere won’t crank and all you hear are clicking sounds when you turn the key, you likely have a bad battery or a bad connection somewhere between the battery and the starter. Double check that the alternator and battery connections are clean and tight. If those look good, use a multimeter to check the battery voltage. If it’s low, you will likely need a replacement battery. 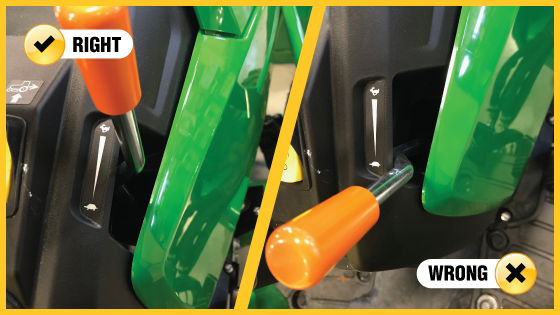 If none of these troubleshooting tips get your tractor going again, contact your local John Deere dealer for help. It may be that your cold start system is malfunctioning, your fuel injectors are dirty, or you’ve got a faulty switch. Whatever the problem, John Deere service technicians are trained to diagnose the issue and get your equipment back up and running quickly. Have you had trouble starting your diesel equipment this season? Winter brings with it temperatures that not only make you shudder, but can also make your equipment sluggish.